First, I'd like to point out that I said before the season that Alabama was easily the nation's best team and I did not have a kind word for Maryland. For week 1 I highlighted Idaho/Eastern Washington as my FBS/FCS match-up to watch and also said that Wisconsin/UNI could be interesting. I also noted, before the game, that Savannah St is terrible and would lose by 100. Maybe there's something to this voodoo witch-doctoring after all. This week two games rise above the rest. First, Missouri will take on Georgia and, after watching SC and Florida in week 1, this could determine the SEC East. Overall, a less than stellar performance from the Bulldogs was more than offset by a 13.6 NEPA**, 1.2 NEPA/play performance from Todd Gurley - who is again proving that ironic names always work in football. To put the 1.2 NEPA/play in perspective, the entire team had an offensive NEPA/play of about .3 and they scored 45 points and won by 22. We learned little about Missouri except that they look really good when the other team refuses to keep the ball or tackle. Georgia is giving points and my model is calling it a pick'em. Given that I picked Georgia to win the East from the beginning, I'll go dogs over cats. The second game has another SEC East team playing a new SEC opponent. 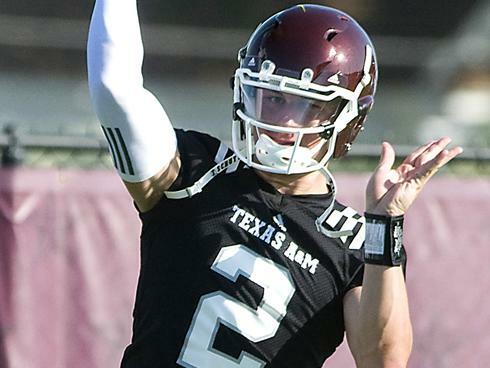 Texas A&M will get a taste of the SEC while Florida will experience Kyle Field. Muschamp has named Driskel the starter at QB and the stats agree - Driskel's 3.2 NEPA was not overwhelming but far better than Brissett's -.3. A&M is favored in this one and the model likes the Aggies by a full touchdown. Personally, I think Christine Michael will rush for 150 yards (ironic name can't go wrong), Trey Williams will bust a couple jaw-dropping 70 yard touchdown runs, and Manziel will literally make our heads explode, but I might be a bit too pessimistic about new coach Kevin Sumlin's offense. ** NEPA - net expected points added. I'd like to thank Brent Blackwell for his work on the NEPA statistics.